Photography—it’s all about passion, skill, and commitment. Ever wondered what a day in the life of a pro photographer is like? Every week, we ask a photographer to document and share their day at work. 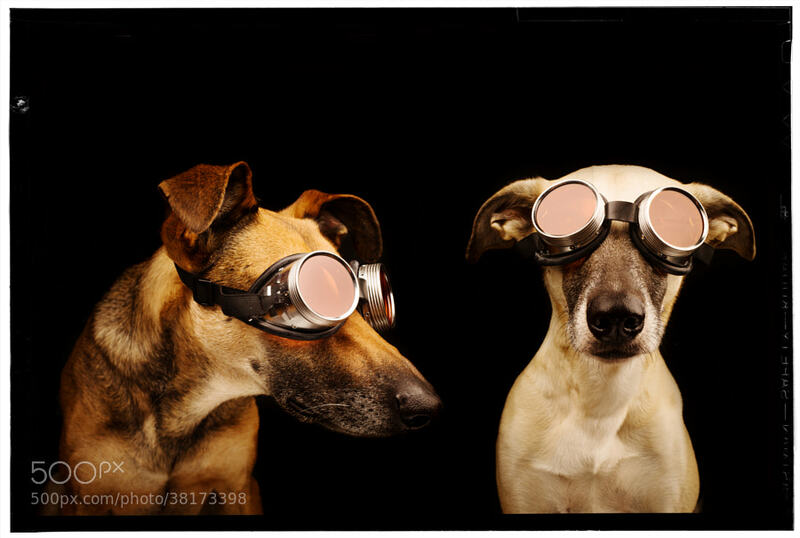 This week, we’re featuring Hildesheim, Germany-based pet portrait photographer Elke Vogelsang. 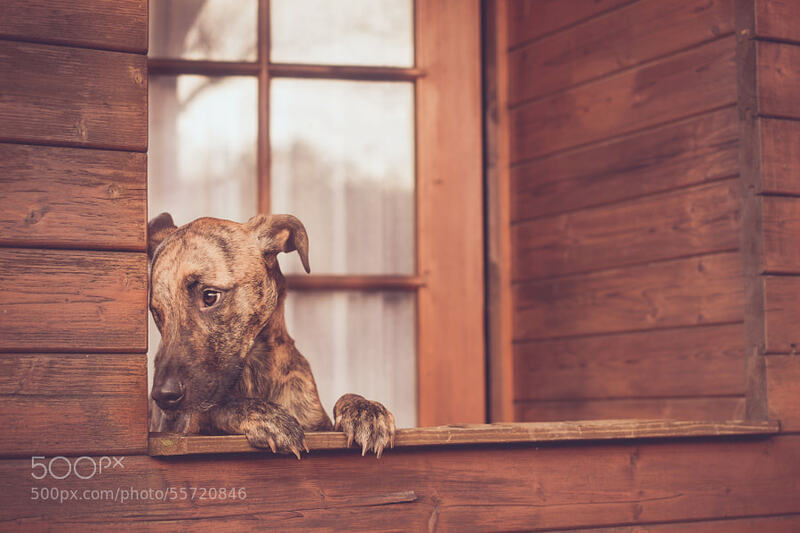 You may have already seen photos of her dogs go viral on 500px’s Popular page and all over the web. And it’s easy to see why. 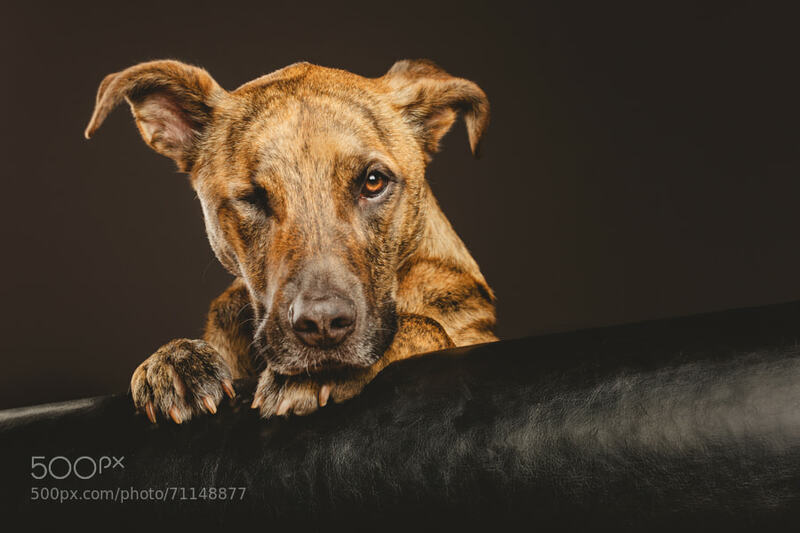 She has a knack for capturing wonderfully expressive portraits of dogs of any breed and personality, resulting in the kind of work that will make you laugh and melt your heart at the same time. 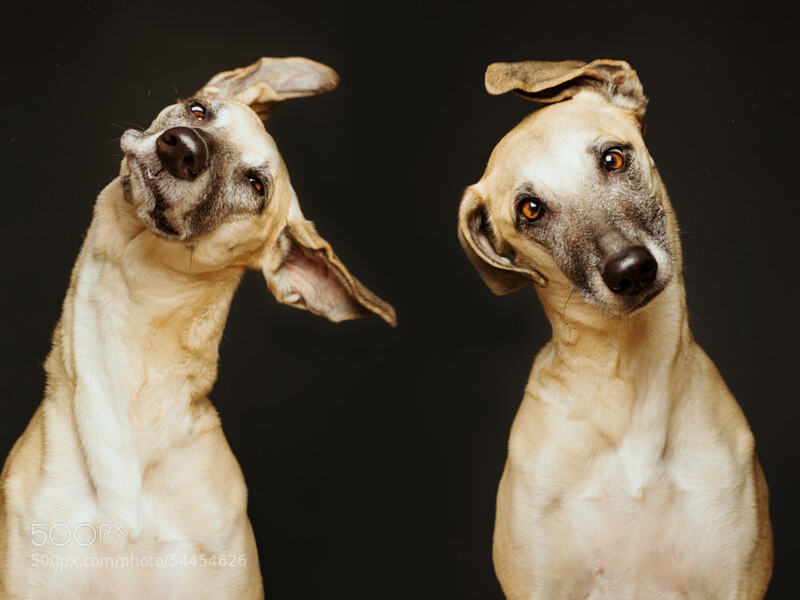 Let’s check in with Elke Vogelsang and she how she spends her day, up close and personal with her four-legged friends. Read on! 8 A.M. My dogs Noodles, Scout and Loli think it’s time to wake up. I’m not so sure, but I give in to wet noses and dog tongues kissing my face—I love my dogs, but that’s a bit yucky. Since I work late hours, I get up late. 8:45 A.M. I walk my dogs. 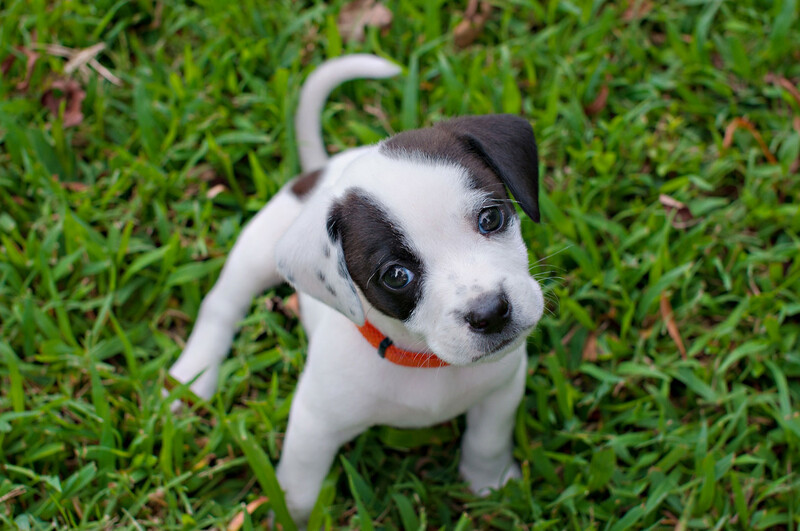 Most of my day revolves around photography and dogs. I am a complete photography addict. 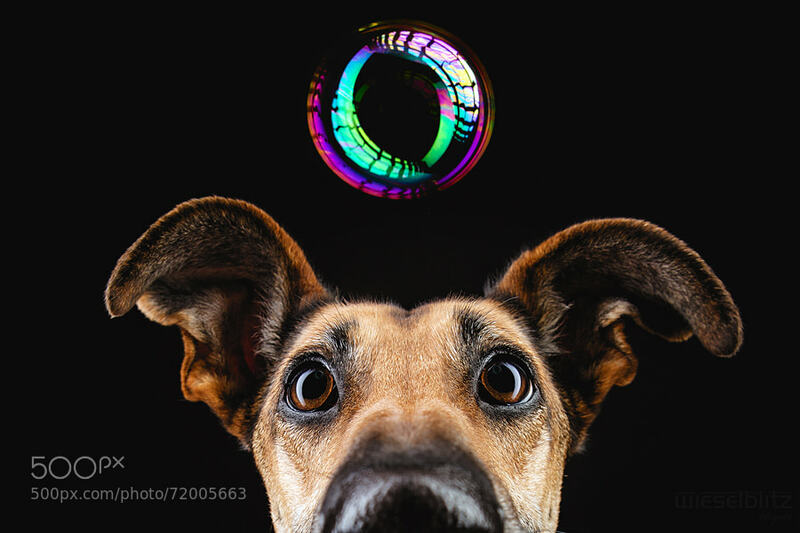 Since I am in the fortunate position to combine my two passions—photography and dogs—as a profession, my day is packed with “work” which I don’t really regard as work, but a fulfilling passion. 9:15 A.M. Time for breakfast. 9:30 A.M. I start the computer, check my emails, and work on a translation for a few hours. I turned my hobby—photography—into a profession. So in order to enjoy photography as a job, I make sure I’m not fully dependent on it. Therefore, I work part-time as a translator, which is my original profession. When it comes to “work”, my day is split into two shifts: translation and photography. This way, I’m able to photograph only the subjects I love and am interested in—and that’s people and animals. My days are very versatile and flexibly planned. I may or may not have translation jobs to work at. 12 P.M. Time for a break. My dogs make sure I take breaks. They love to be entertained, and I love to entertain them. 12:15 P.M. I get back to my computer to start working on my photography business. I work as a wedding photographer too—in the summer time, I usually have wedding pictures to work on. 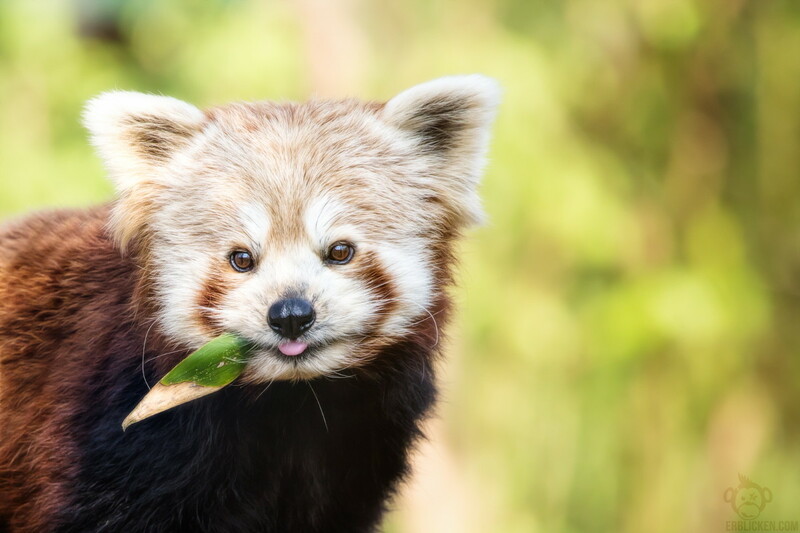 I check emails and social media sites, edit photos, prepare invoices and orders, answer questions, write articles, and get distracted by browsing through the tons of gorgeous photos on 500px. 1:30 P.M. I have a studio session with a client dog. I usually schedule studio photo sessions for those hours of the day, when the light outside is not that nice for outdoor photography. A studio session lasts as long as it is needed. Some dogs need time to get used to the surroundings and atmosphere. 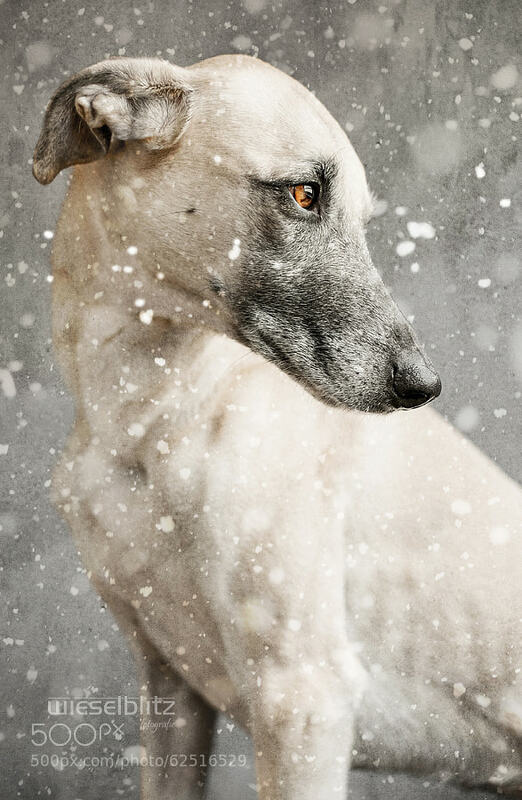 Today’s model is a rescue dog, a Galgo Español from Spain. 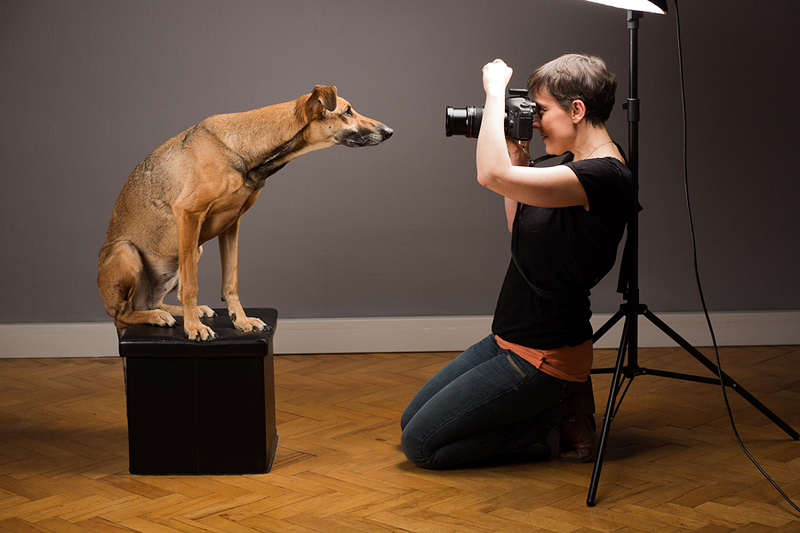 She is very friendly and absolutely gorgeous, but finds the situation a bit intimidating, so it takes a while to make the dog feel comfortable in the studio. 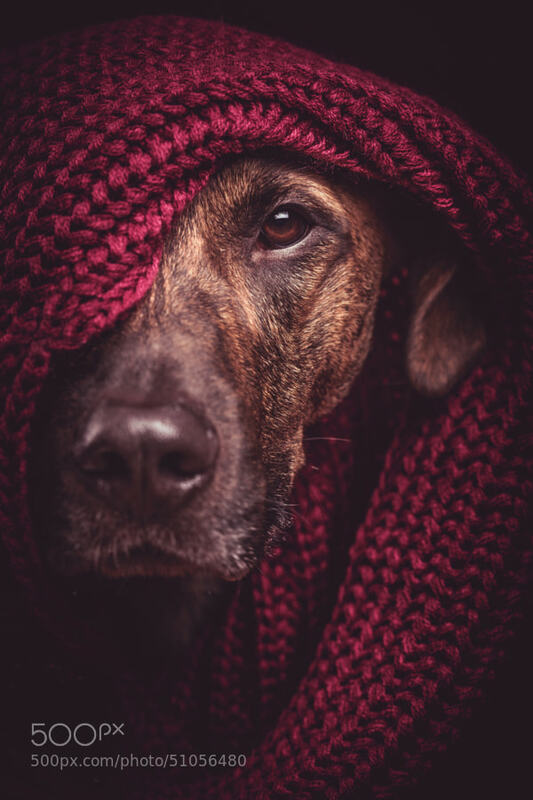 I’ve shared some tips on dog portrait photography with 500px. Click here to read some of my techniques. 2:30 P.M. I am back home. I take the dogs for a longer walk. They are my recreation and pastime. We are out and about for at least one hour, but usually longer. The dogs make sure I get away from work and the computer for a few hours a day, so this is my daily holiday. I usually have my Fujifilm X camera with me, so I might take occasional shots of them. Since I sell the pictures of my dogs for editorial use, walking the dogs is productive “work” as well. 4 P.M. I get back to my computer. As a photographer, you spend most of your time at the computer. I edit pictures further—most of them are wedding photos. 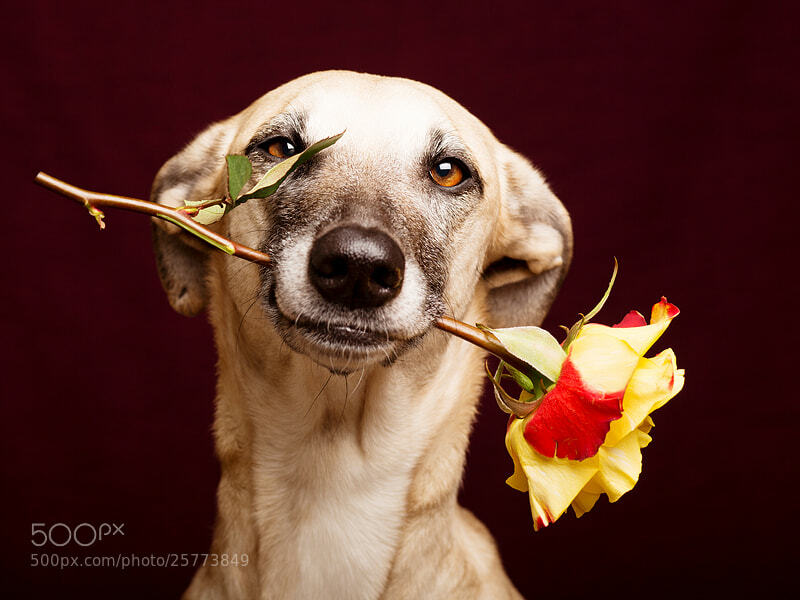 I might show quite a few dog photos on 500px, but I am actually a people photographer first. My favorite subjects, next to dogs, are children. I prepare preview galleries for my clients, edit final pictures, and sort through pictures. 6:30 P.M. In the summer time, I schedule photo sessions for late afternoons or evenings. So in the evenings, I am out taking photos of people or animals. Today, I meet with my clients and their Belgian Shepherd mix. 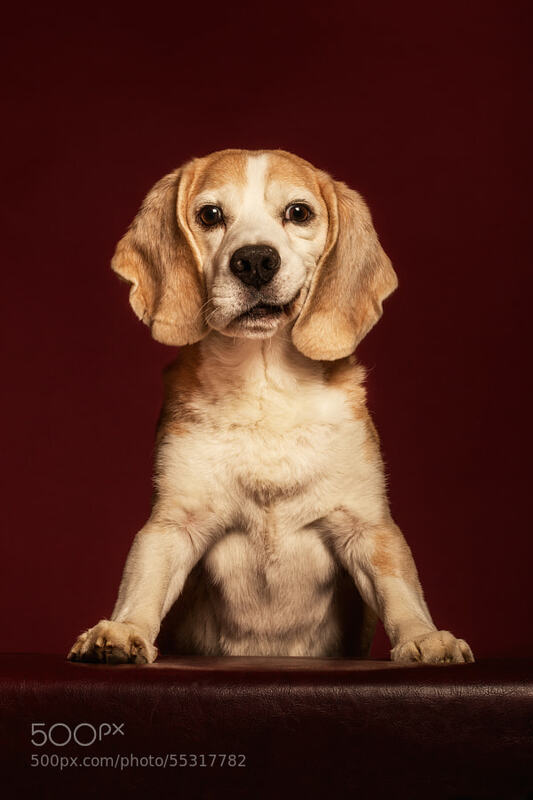 We take some portrait shots of the dog in a forest, among flowers, and in front of ancient walls. 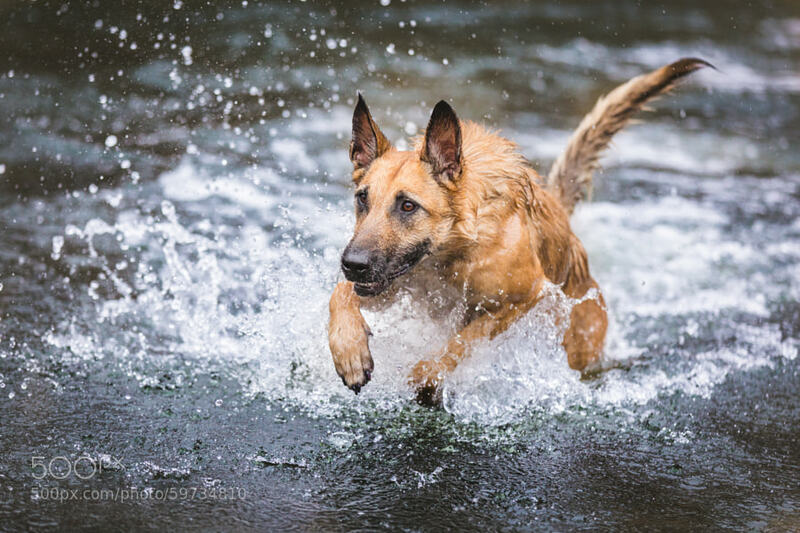 The dog loves water, so we take some action shots in a river. This means I will go into the water as well, always trying to protect my camera. My equipment and my health are constantly at risk, but I don’t care—I just love the activity. I will get down on my knees, belly, or get into the water, just to get the best shots. 8 P.M. I’m back at home. I save the photos I just took on two different hard drives, and browse through them. 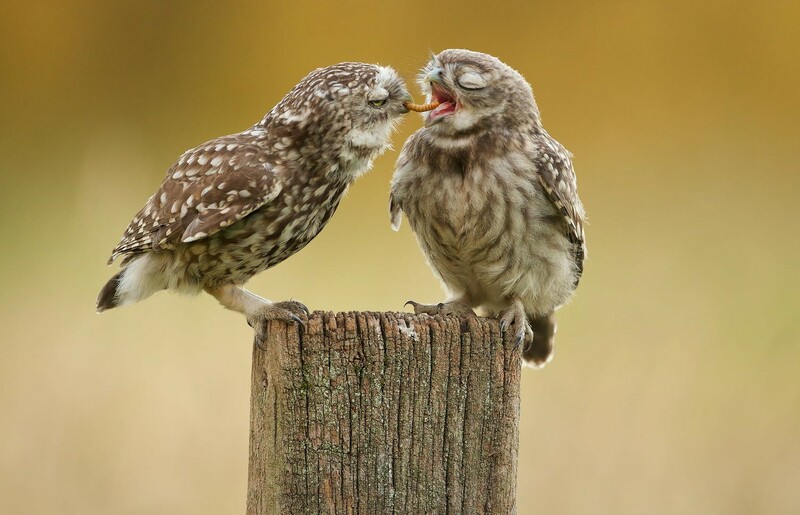 I choose some pictures as a small preview, and send these to my clients. 9 P.M. I am currently working on a coffee table book, which will be released next year. 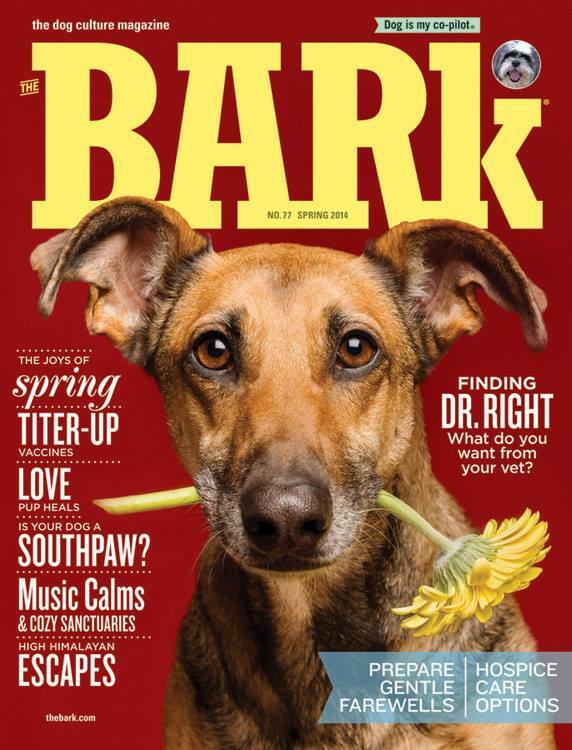 I also sell images of my dogs for editorial use worldwide. So I might squeeze in a studio session with my dogs in the evening. This is lots of fun. 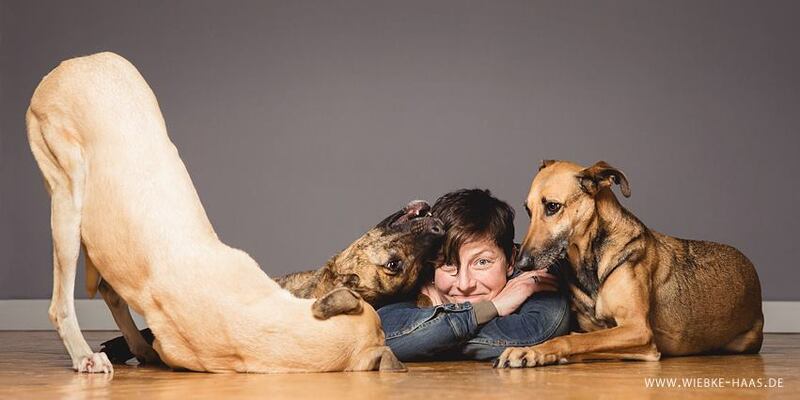 The dogs love it—with three eager models, I’ve got lots of opportunities and ideas. I’ve got my studio in my house, so I can spontaneously start a session. 10 p.m. No knocking-off time yet. Since I don’t really regard photography as a job, I am fine with working on pictures and planning sessions until late in the evening. I usually have the TV switched on or music playing while I work. 11 p.m. The dogs get another walk, and then it’s time to go to bed. Tonight, I will read a few pages of my favorite photography book, “The Art of Photography“ by Bruce Barnbaum. I’ve read this before, but I find inspiration every time I read it. 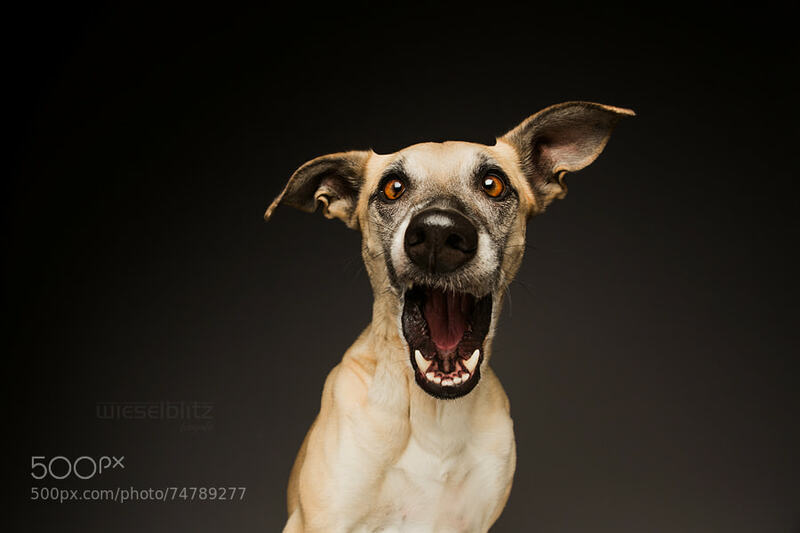 We hope you found Elke Vogelsang‘s 24-hour account of a full day’s work as a pet portrait photographer helpful. 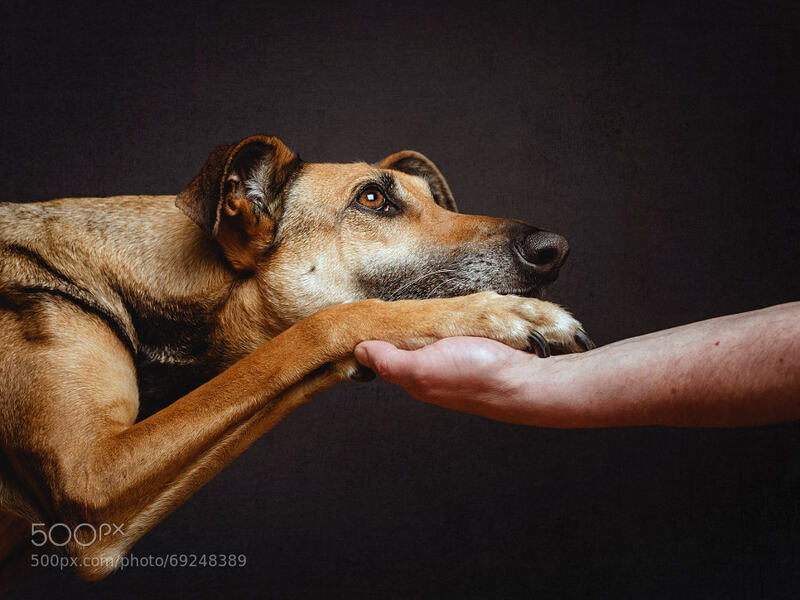 Follow Elke Vogelsang on 500px to see more of her work. You can also visit her Facebook page and her official website. 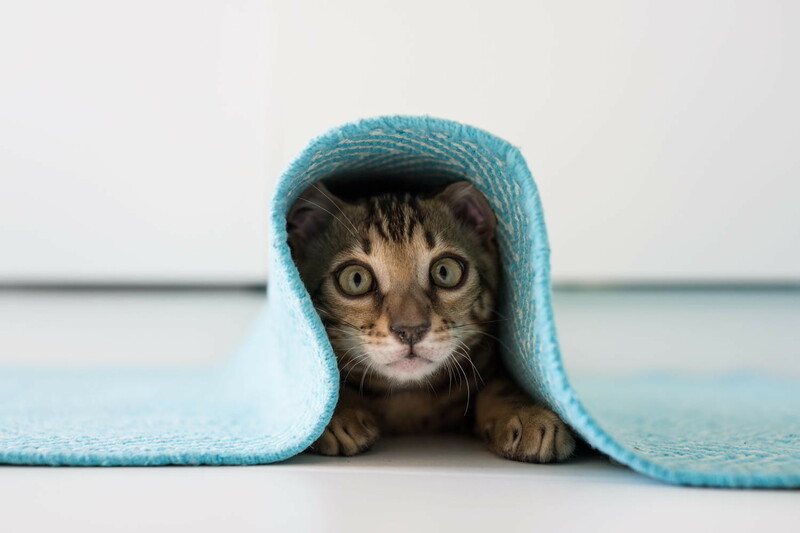 Got a question for Elke about her style, technique, photos, and her dogs? Feel free to comment below!